Novichok (Russian: новичок meaning "newcomer") is a series of nerve agents that were developed by the Soviet Union in the 1970s and 1980s. Allegedly these are the most deadly nerve agents ever made, with some variants possibly five to eight times more potent than VX, though this has never been proven. They belong to "third generation chemical weapons" designed as a part of Soviet "Foliant" program. Initially designated K-84 and later renamed A-230, the Novichok family of analogs comprises more than a hundred structural variants. 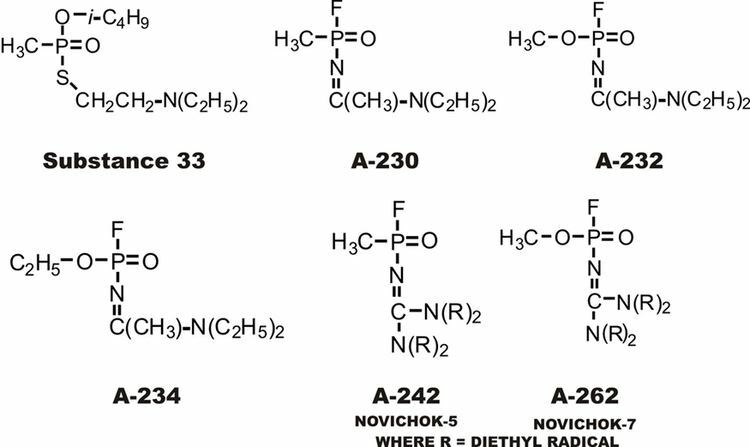 Of all the variants the most promising, from a military standpoint, was A-232 (Novichok-5). To be safer to handle. Although all these objectives were claimed to have been achieved, this is yet to be proven. 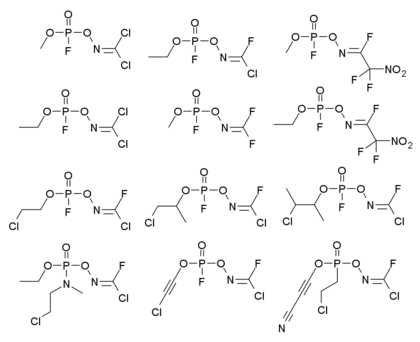 Some of these agents are binary weapons, in which precursors for the nerve agents are mixed in a munition to produce the agent just prior to its use. Because the precursors are generally significantly less hazardous than the agents themselves, this technique makes handling and transporting the munitions a great deal simpler. 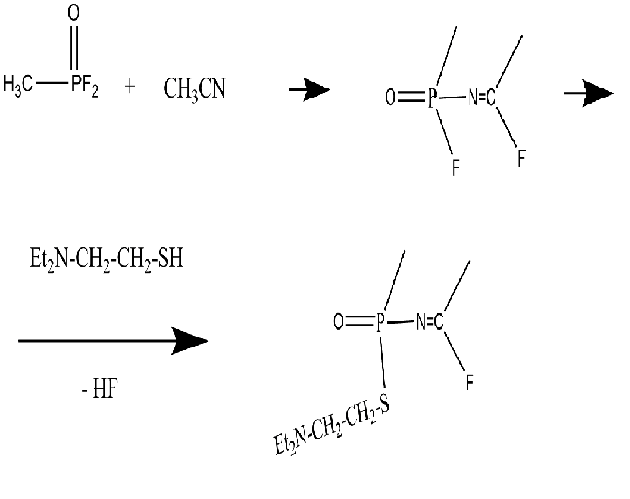 Additionally, precursors to the agents are usually much easier to stabilize than the agents themselves, so this technique also made it possible to increase the shelf life of the agents. However this has the disadvantage that careless preparation or preparation by untrained individuals may produce a non-optimal agent. During the 1980s and 1990s, binary versions of several Soviet agents were developed and are designated as "Novichok" agents. The existence of Novichok agents was openly admitted by Russian military industrial complex authorities when they brought a treason case against Mirzayanov. 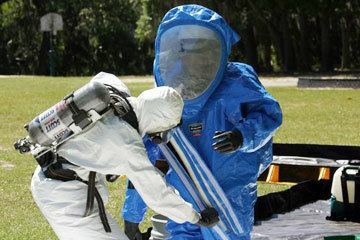 According to expert witness testimonies prepared for the KGB by three scientists, novichok and other related chemical agents had indeed been produced and therefore the disclosure by Mirzayanov represented high treason. Vil Mirzayanov was arrested on October 22, 1992 and sent to Lefortovo prison for divulging state secrets. He was released later because "not one of the formulas or names of poisonous substances in the Moscow News article was new to the Soviet press, nor were locations ... of testing sites revealed." According to Yevgenia Albats, "the real state secret revealed by Fyodorov and Mirzayanov was that generals had lied — and were still lying — to both the international community and their fellow citizens." He now lives in the U.S. The first description of these agents was provided by Mirzayanov. Dispersed in an ultra-fine powder instead of a gas or a vapor, they have unique qualities. A binary agent was then created that would mimic the same properties but would either be manufactured using materials legal under the CWT or be undetectable by treaty regime inspections. The most potent compounds from this family, novichok-5 and novichok-7, are supposedly around five to eight times more potent than VX. One of the key manufacturing sites was a chemical research institute in what is now Uzbekistan, and small, experimental batches of the weapons may have been tested on the nearby Ustyurt plateau. Mirzayanov gives somewhat different structures for Novichok agents in his autobiography, as shown below. He makes clear that a large number of compounds were made, and many of the less potent derivatives reported in the open literature as new organophosphate insecticides, so that the secret chemical weapons program could be disguised as legitimate pesticide research. 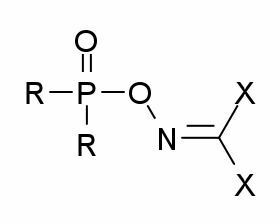 As nerve agents, the Novichok agents belong to the class of organophosphate acetylcholinesterase inhibitors. These chemical compounds inhibit the enzyme acetylcholinesterase, preventing the normal breakdown of the neurotransmitter acetylcholine. Acetylcholine concentrations then increase at neuromuscular junctions to cause involuntary contraction of all muscles. This then leads to respiratory and cardiac arrest (as the victim's heart and diaphragm muscles no longer function normally) and finally death from heart failure or suffocation as copious fluid secretions fill the victim's lungs. The use of a fast-acting peripheral anticholinergic drug such as atropine can block the receptors where acetylcholine acts to prevent poisoning (as is the treatment for poisoning by other acetylcholinesterare inhibitors). Atropine, however, is difficult to administer safely, because its effective dose for nerve agent poisoning is close to the dose at which patients suffer severe side effects such as changes in heart rate and thickening of the bronchial secretions which fill the lungs of someone suffering nerve agent poisoning, so that suctioning of these secretion and other advanced life support techniques may be necessary in addition to administration of atropine to treat nerve agent poisoning. In the treatment of nerve agent poisoning, atropine is most often administered along with pralidoxime, which reactivates acetylcholinesterase which has been inactivated by phosphorylation by an organophosphorous nerve agent and relieves the respiratory muscle paralysis caused by some nerve agents. 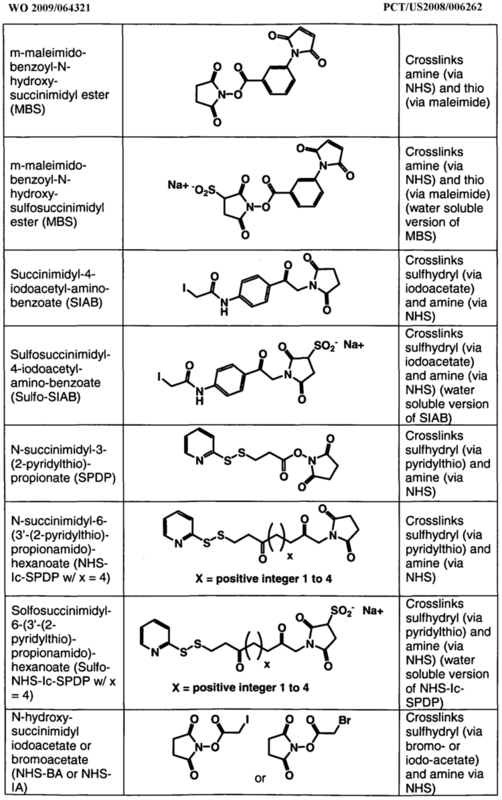 Pralidoxime is not effective in reactivating acetylcholine inhibited by some older nerve agents such as soman or the Novichok nerve agents, described in the literature as being up to 8 times more toxic than nerve agent VX. The US Army has funded studies of the use of galantamine along with atropine in the treatment of a number of nerve agents, including soman and the Novichok agents. An unexpected synergistic interaction was seen to occur between galantamine (given between five hours before to thirty minutes after exposure) and atropine in an amount of 6 mg/kg or higher. Increasing the dose of galantamine from 5 to 8 mg/kg decreased the dose of atropine needed to protect experimental animals from the toxicity of soman in dosages 1.5.times the LD50 (lethal dose in half the animals studied).